I am so behind on writing my review of Barque. And to make matters worse, I took pictures on my Nikon without an SD card. I have no way of getting it off of the camera as I lost the original usb cable. I am definitely gonna need to make a quick stop over at Best Buy, I think. 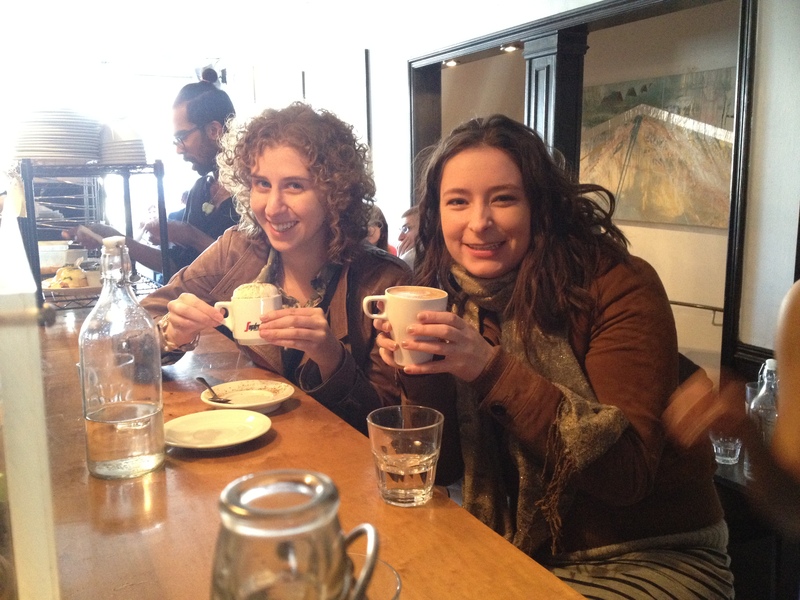 In other news, I had another lovely brunch at Starving Artist with some of my dance girls. We had a great meal even if we did have to wait for 3 bed-headed bike chicks to finally leave so we could have our table of 5. 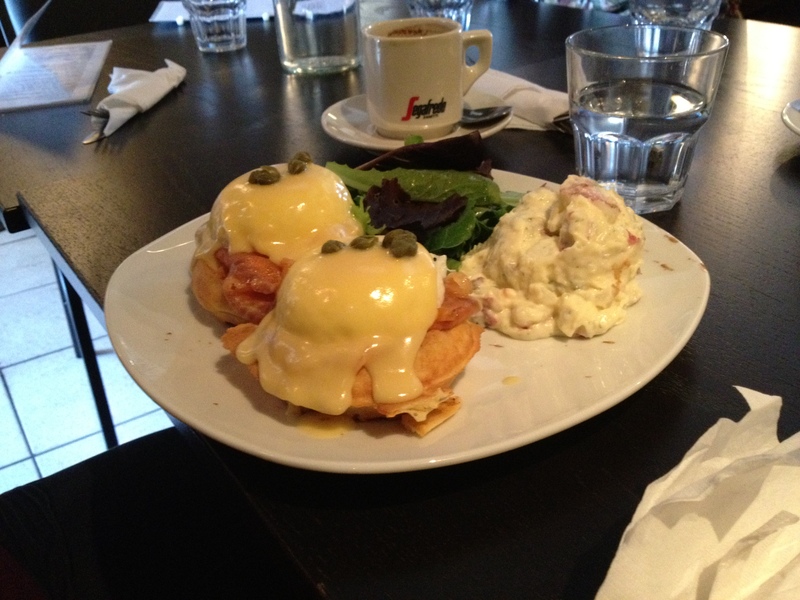 Once seated, we all had some variation of the eggs benny. The Breakfast Waffle with Fruit – The twist on this one – Potato Waffles. Mashed. Potato. Goodness. Need I say more? The meal was just as good as the first time although the stand out this meal was the potato salad – some how both sweet and savoury at the same time. I am probably going to be back again. All the staff are very friendly if a bit eccentric. If you’ve got a small party, the bar is actually a nice place to sit and watch 6 people making amazing food in a small kitchen. 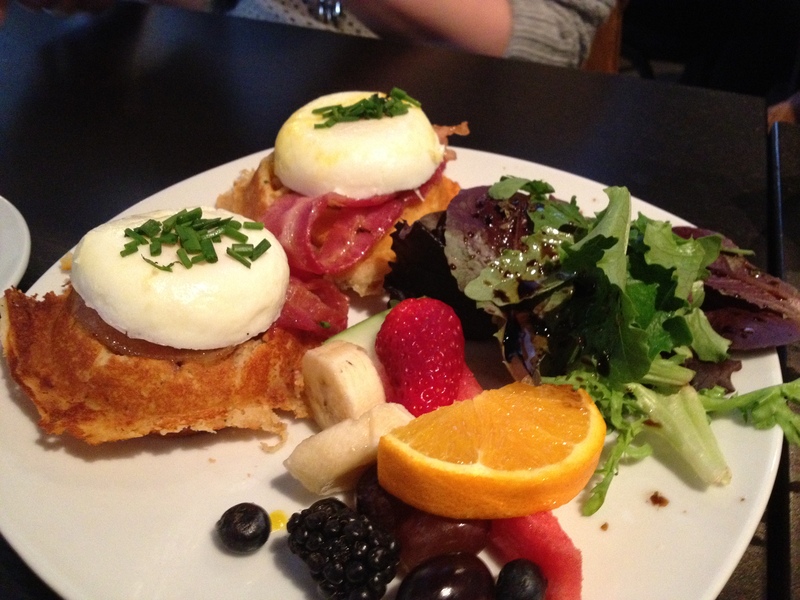 I especially enjoyed the poached egg making dance, it’s — hard to explain but it was entirely one handed and …funky? Yup. You gotta sit at the bar. 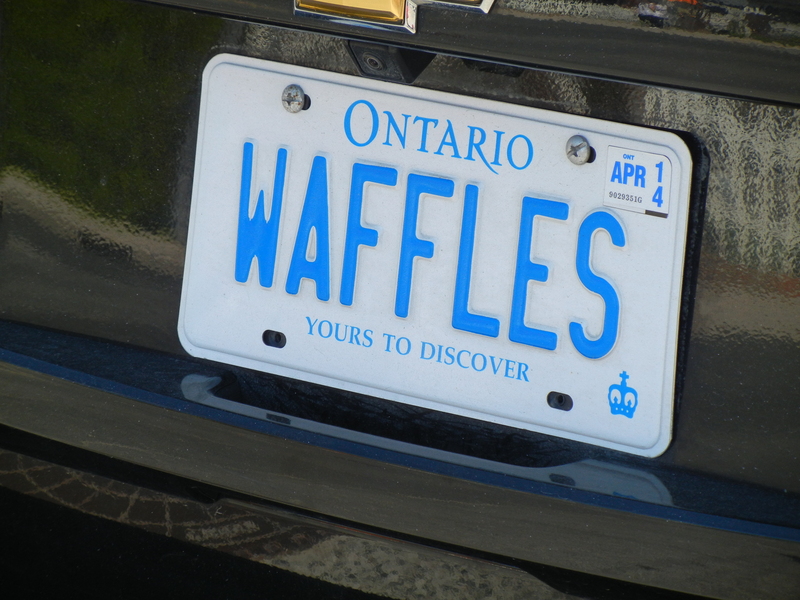 A close up of their license plate: Waffles. Yours To Discover. – So True!